Yes, it's TRUE! You can Viking Knit with Leather cording. If you've been considering learning the Viking Knit weaving process with the Lazee Daizee tools this technique is not only easier, it's faster too! We now have kits that includes the 1/2" OR the 1/4" Lazee Daizee tool and the leather and findings to create a leather bracelet project. 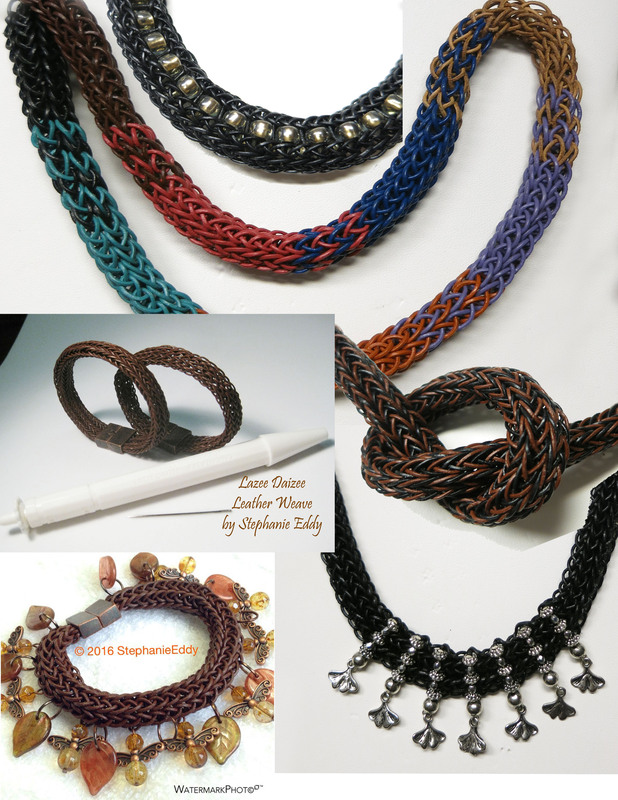 If you already have your Lazee Daizee tools, it's time to experiment with leather cording.